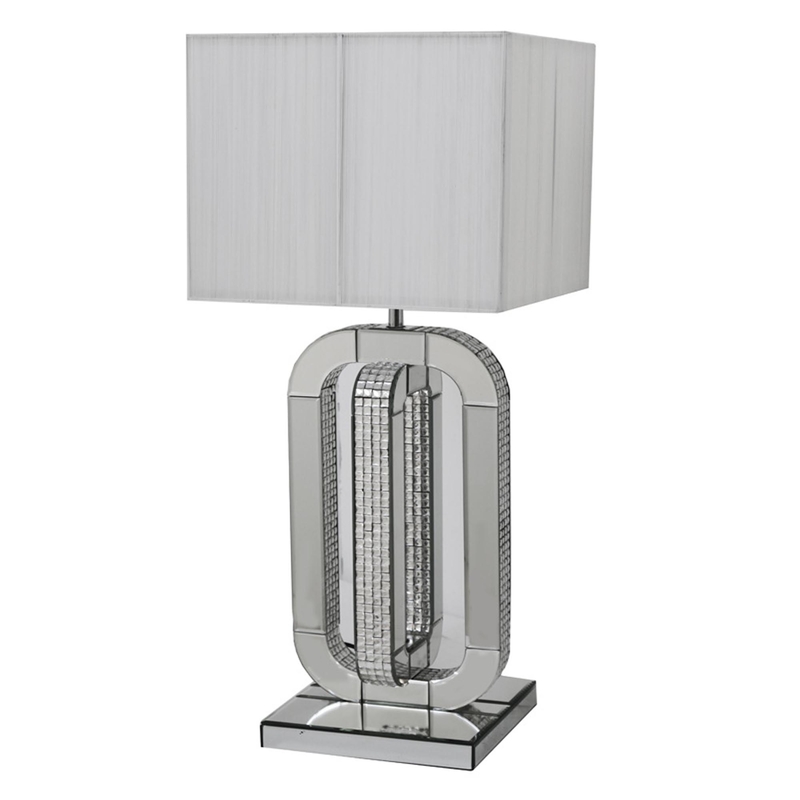 Introducing the stunning Chic Table Lamp, the perfect piece to brighten up your home. Made from all-over glass, silver mirror with bevelled edges, mounted on a MDF frame and decorated with diamond like strips. This sleek and luxury item would look perfect in any bedroom or living room with its modern and contemporary design.